Ovid Airport has been offering skydiving to the Rochester, Syracuse, Ithaca, and Auburn areas for more than 30 years! We are Central New York's premier Skydiving Center. Located on a private airport in NY's breathtaking Finger Lakes region, we offer tandem skydiving, sport jumping, and learn to skydive programs. 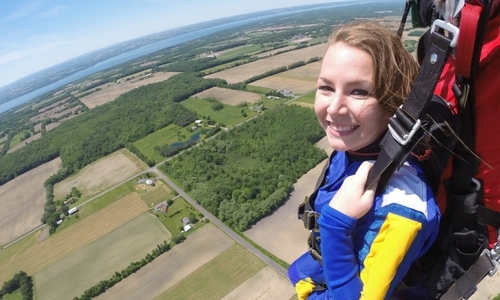 Whether you're a first time skydiver or a seasoned fun jumper, Skydive Finger Lakes is dedicated to providing you with a first class skydiving experience. With our friendly atmosphere, highly experienced instructors, beautiful scenery and convenient location, Skydive Finger Lakes is the #1 choice for Skydiving Rochester, Syracuse, and Central New York! 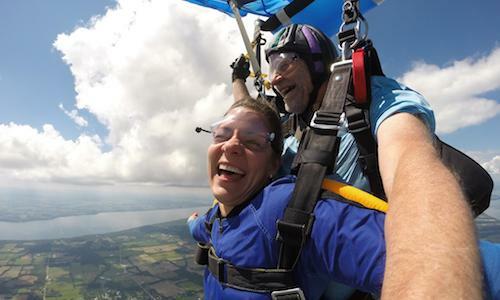 Experience the thrill of free fall and take in the breathtaking views of NY's Finger Lakes all while securely attached to one of our highly experienced skydiving instructors. Tandem skydiving makes it easy for everyone to experience one of life's greatest adventures. We'll have you trained, suited up, and ready to fly in less than an hour. 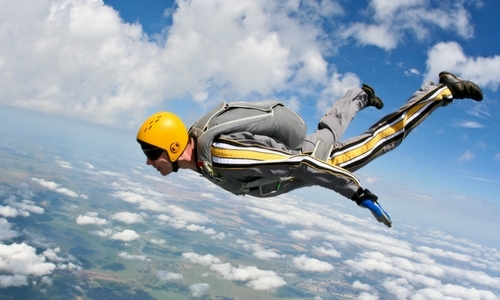 Learn more about what to expect on your first tandem jump. 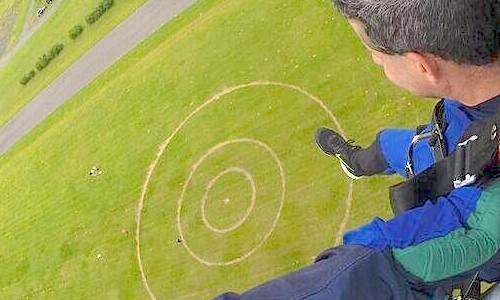 Would you like to learn to skydive solo? Learn from the best instructors in the industry at Central New York's longest established skydiving center. Skydive Finger Lakes offers a complete student training program that will take you from novice to licensed skydiver in 25 jumps. Are you an experienced skydiver in NY looking for a DZ to call home? Skydive Finger Lakes has an active, welcoming fun jumper community filled with skydivers of all experience levels and disciplines. Learn more about our historic airport, landing areas, aircraft, upcoming events and more.